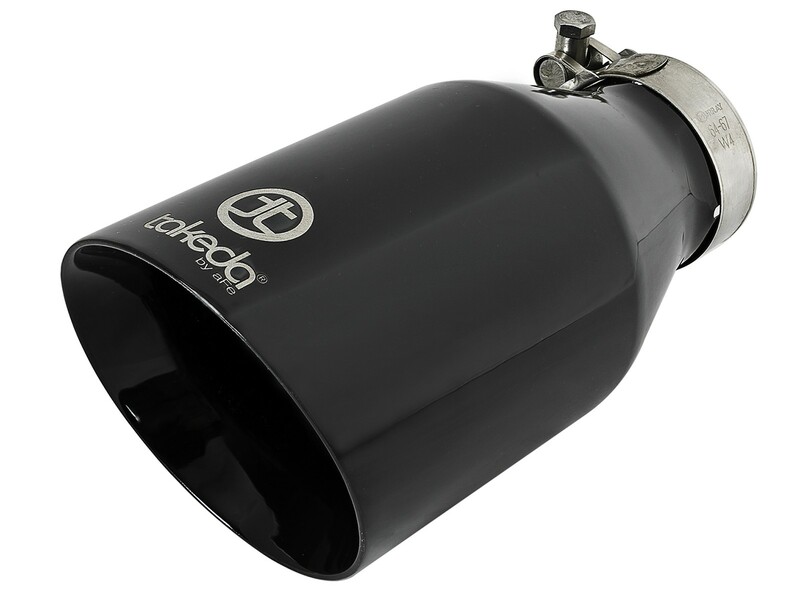 Improve your exhaust system by upgrading your exhaust tip with this Takeda 304 stainless steel, universal tip designed to fit most 2 1/2" exhaust systems. 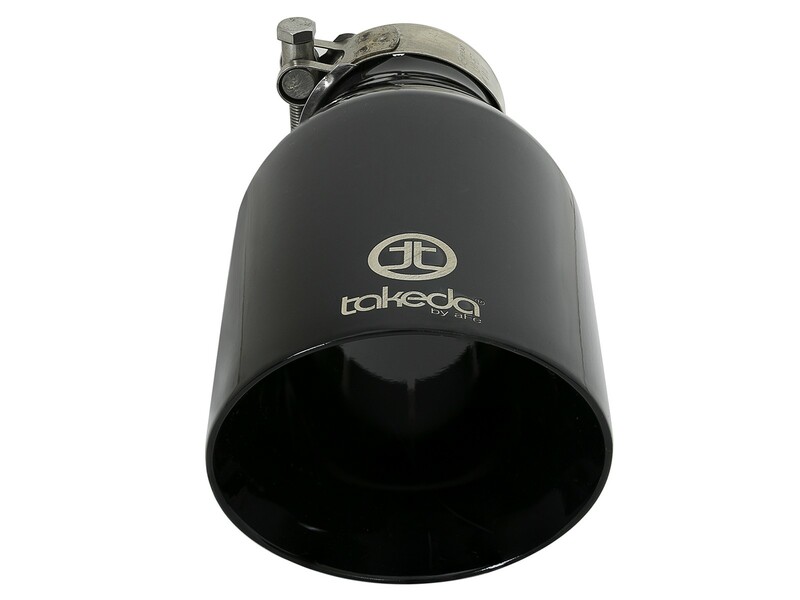 This 9” long, double-walled, slash cut exhaust tip has a high gloss black powder coated finish and a laser-etched Takeda logo for a custom look. Completely adjustable, the tip includes a quality stainless steel barrel band clamp for a secure fit and there is no modification or welding required. 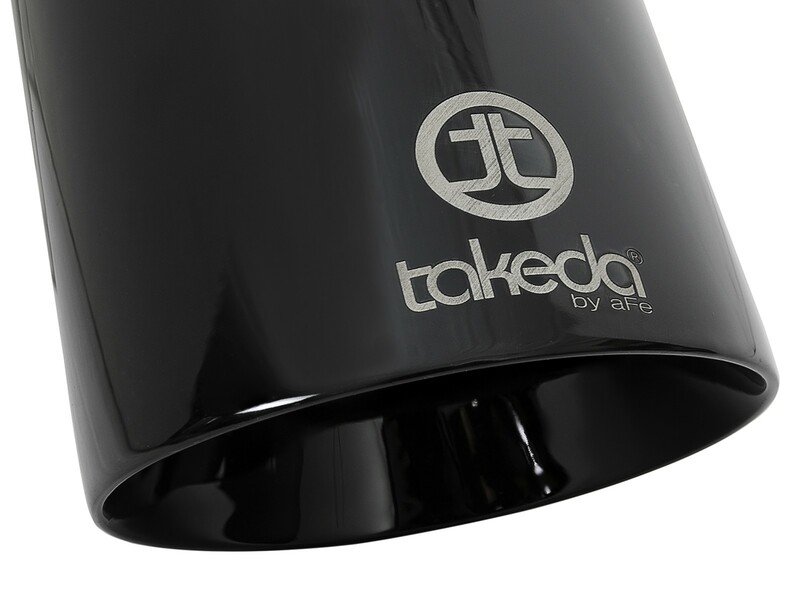 A high gloss black powder coating has been applied to the tip for corrosion resistance and custom look. 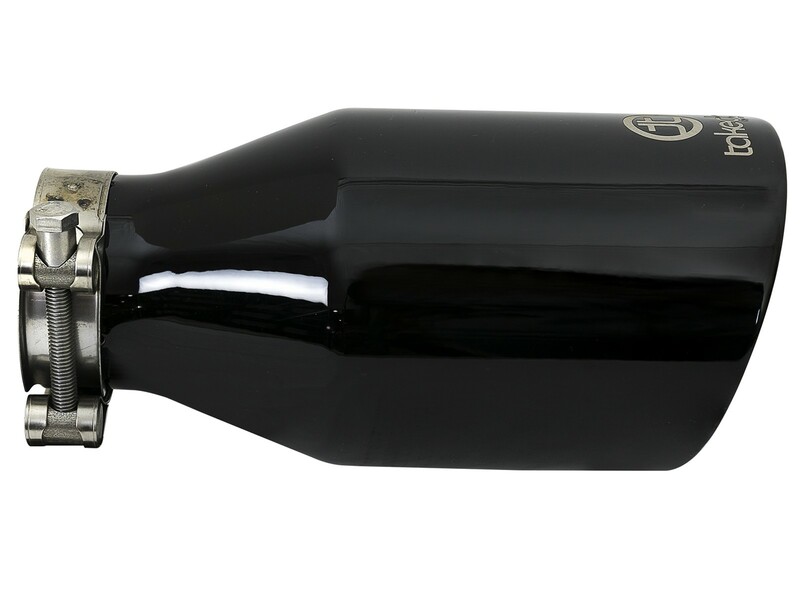 Branded with a laser etched Takeda logo quality authenticity. 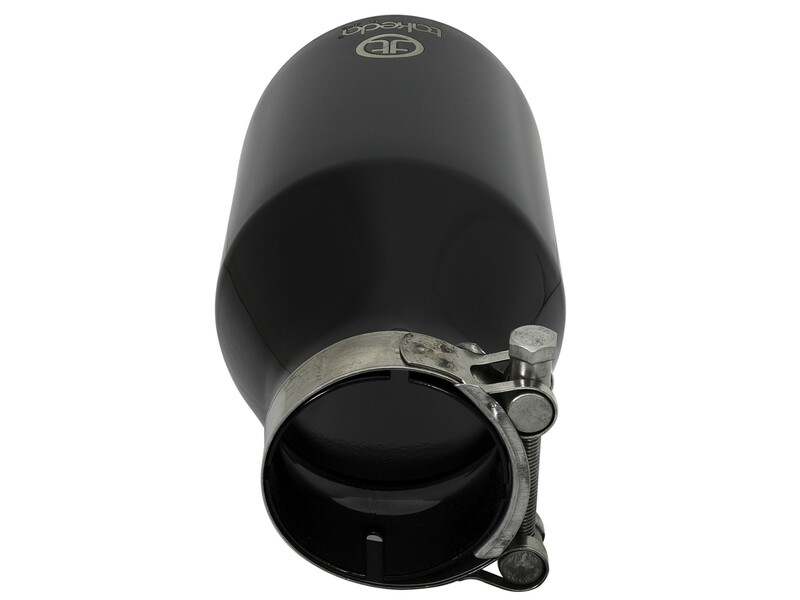 Universal tip - will fit to 2 ½” exhaust tubing and is easy to install and adjustable. See below for specifications.